Maybe the easiest, simplest, but somehow most impressive garnish you could ever add to any dish. Whenever I’m feeling a little fancy and I want to make eggs, I make egg ribbons. Essentially, they’re very thin slices of an egg omelette. 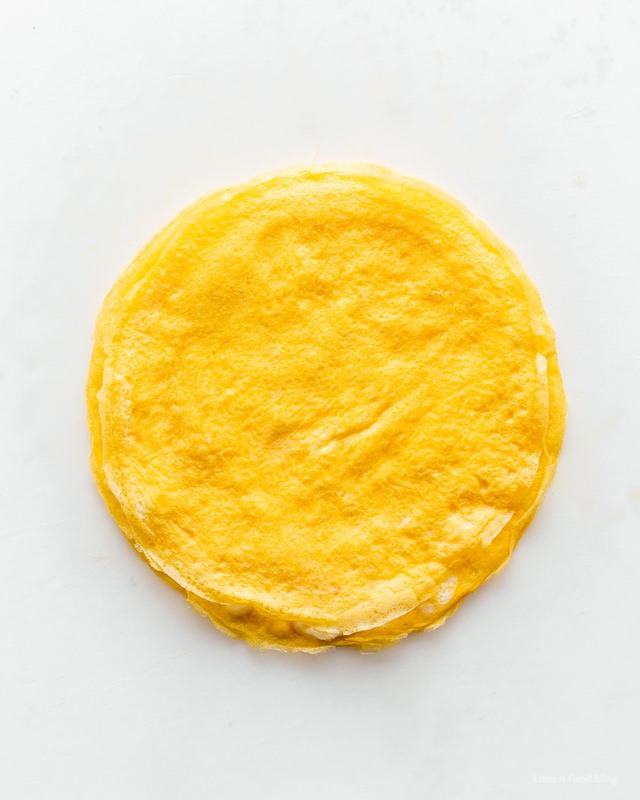 They’re just as easy as making scrambled eggs but they’re way more impressive. 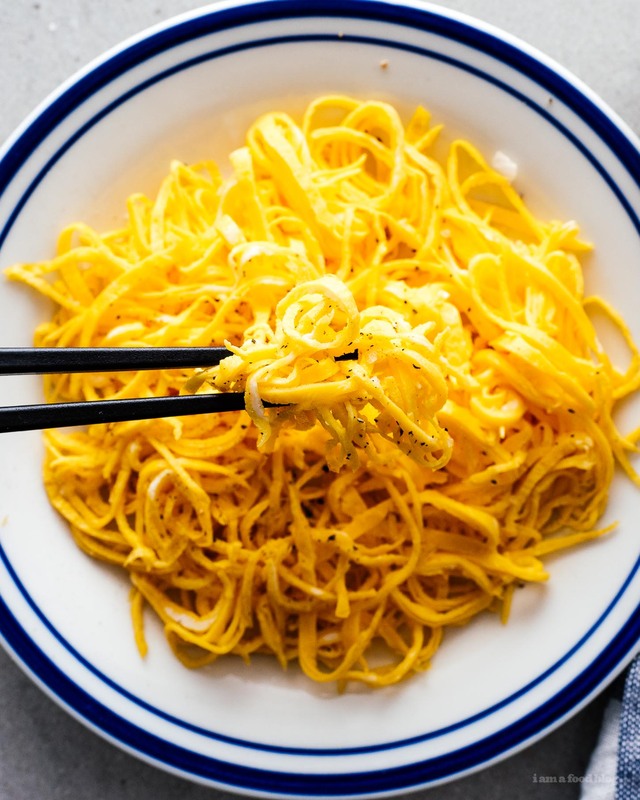 They make salads great and noodles even more noodle-y. 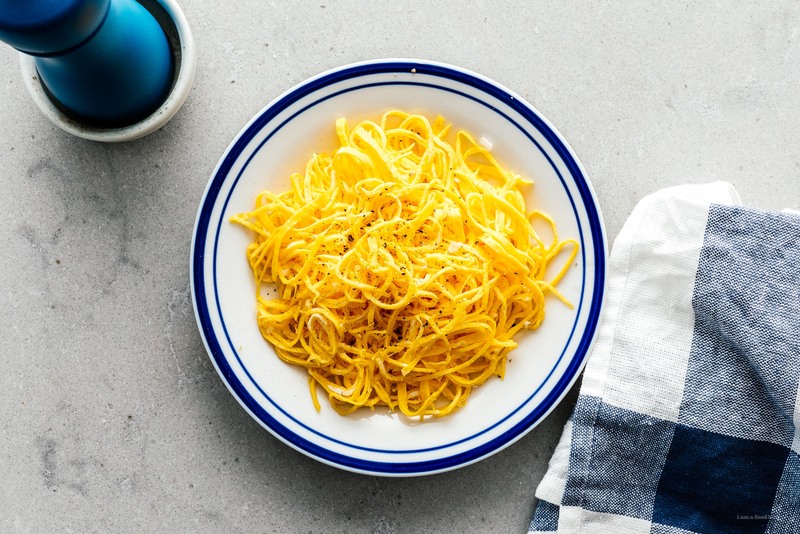 There’s just something about a sunshine yellow pile of egg ribbons that just makes everything better. 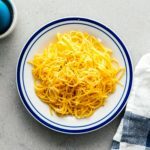 I love them on rice, or even as a no-carb noodle variation. The best part about egg ribbons is that you can make as many or as little as you like. They work great as meal prep as well. Make a big batch and throw them on everything! Lightly beat eggs and season with salt and pepper. Heat up a nonstick frying pan over medium heat. Add a very small Amounts of oil to the pan. 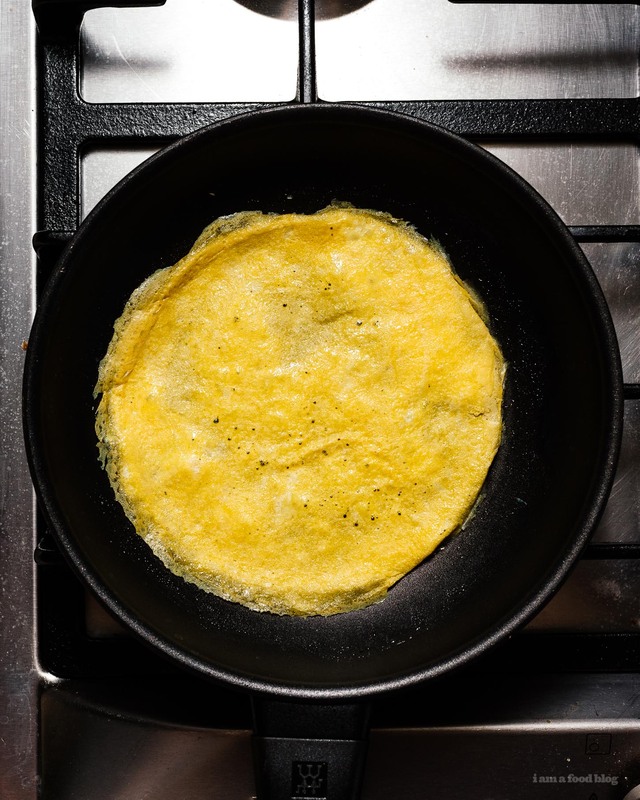 Add about 2 tablespoons of the beaten egg to the pan and swirl to coat like making a crepe. Let cook over low heat, until set, and flip. Continue to cook until set but not brown. Repeat with the remaining eggs. 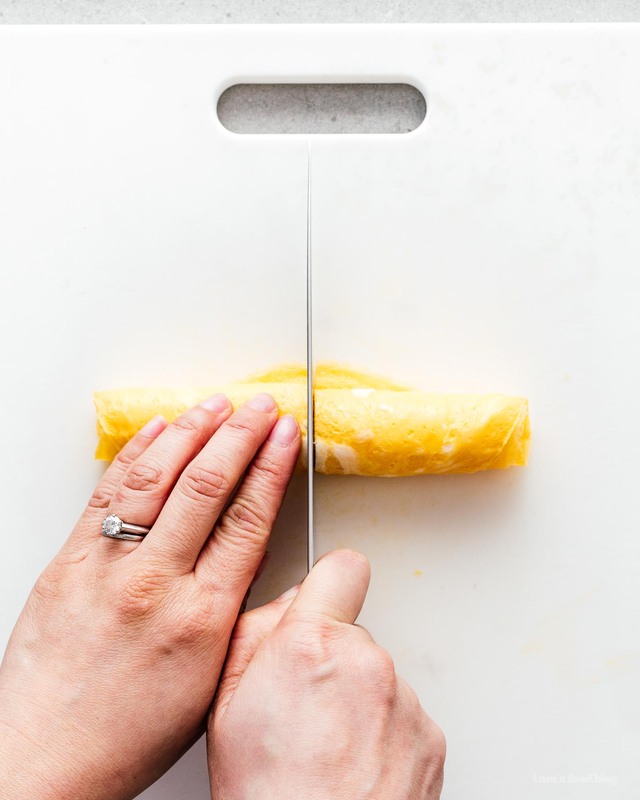 Roll up the egg crepes and slice into thin ribbons. Use on salads, to garnish noodles, rice, or just eat as is. This looks so pretty. It would be a good topping to rice dishes.